The end of the questline, and new prizes, has arrived as we continue our walkthrough, with some St. Patrick’s Day update and a sad news for Chinese users! Join us right after the jump for the 2nd part of the walkthrough! Bart: This is terrible! We spend all day firing guns and learning to kill. I have no time to play violent video games! Bart: I’m busting out of this joint! Who’s with me? Lisa: There must be a diplomatic solution. Surely we can find some common ground. 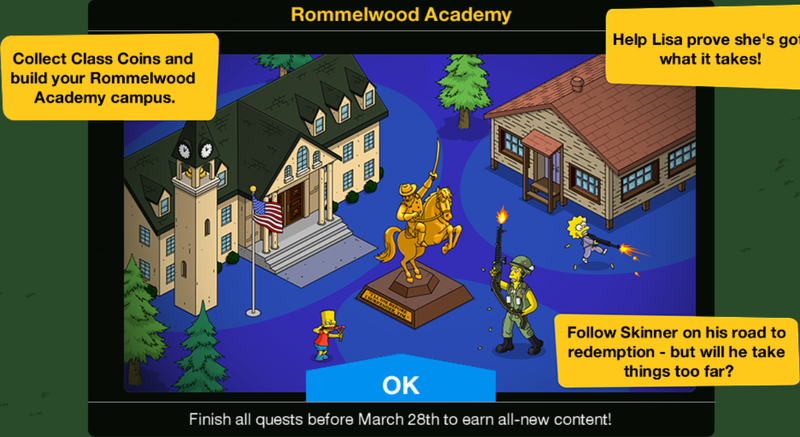 Skinner: All common ground is hereby annexed by Rommelwood Academy. 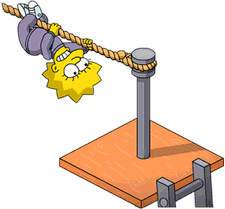 Lisa: Go get him, Bart. Skinner: You think that bed is made? I should be able to bounce a quarter off of it. Lisa: So why don’t you? Skinner: Mother doesn’t trust me with small change. Bart: You guys make decoys to distract Skinner and I’ll steal his stash of Class Coins. Then we can take our pick of schools instead of this hellhole. Bart: Krusty Off-Shore For-Profit University, here I come. Nelson: I’m sick of having to say ‘Sir, Ha-ha, sir’, so I’m in. Dolph: Me too. I want to see if my parents even notice if I’m gone. Bart: Well, that one was a little sad. But welcome aboard, non-soldier! Lisa: I think my rifle may be a little big. The recoil keeps knocking me down. 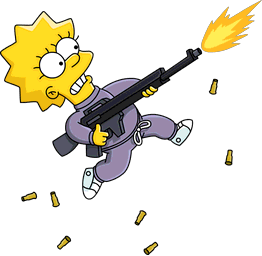 Skinner: Shooting practice and a sit-up! I’m a genius! Bart: Alright, it’s now or never for our plan to get out of here. Skinner: An anonymous source ratted you out. Martin! Martin: I couldn’t help it! There isn’t a tattle I wouldn’t tell. Skinner: ‘Round-the-clock detention for all of you. That goes double for you, Martin. There’s no greater crime than turning on your unit. Skinner: But also thank you. Skinner: I hope you’ve all learned your lesson, because there’s no easy way out of here. Homer: Well kids, time to go home. Skinner: But I thought you wanted someone to keep your kids in line? Homer: I guess we just missed them too much. Missed the way they took out the garbage and mowed the yard. Homer: Besides, Marge has been tucking in pineapples at night. Skinner: But I finally had complete power! Homer: Here, you can keep Pineapple Bart. Skinner: All I wanted was to be supreme overlord of an army of ten-year-olds. Is that a crime? Lisa: According to the UN, yes. But if it makes you feel better, I’d still like to finish The Eliminator. I couldn’t live with myself if I had an incomplete on my permanent record. Skinner: Will you sing the “Skinner is the Best” marching cadence while you do it? Skinner: Apparently you can live with having ‘being a meanie’ on your permanent record. Lisa: I finished! It was the hardest thing I’ve ever had to do but I finished! Blue-Haired Lawyer: Thank you for legally consenting to join the Armed Forces. Blue-Haired Lawyer: Due to a recent executive order, recruits can be entrapped into enlistment starting as early as age nine. Lisa: But I’m only eight. Blue-Haired Lawyer: Another draft dodger. This is the Navy preschool all over again. 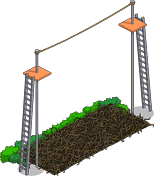 When Lisa is sent to Conquer The Eliminator afterwards, you can get rewards: Barbed Wire Fence [x5], Training Dummy, Bomb Shelter or Mini Nuclear Warhead. The quest has ended but users in China recieved a bad news: the Chinese governament banned the game in their country and will not be updated anymore on the store after March 23rd. System Message: On March 23rd 2017, The Simpsons: Tapped Out will no longer be made available from the China App Store for download. Please note current players will be able to continue playing the existing version of their game (v4.25.6), but will not be able to make any new in-game purchases or receive new updates. Thanks for tapping with us! 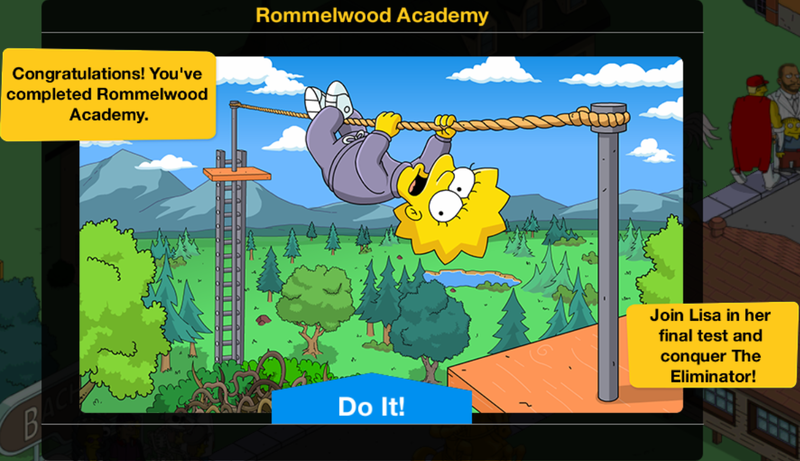 System Message: Thank you for your dedication to The Simpsons: Tapped Out! As our gift to you, we have awarded you three Platinum Scratchers. Thanks for tapping with us! At midnight GMT on March 17th, a small guest with a gift for St. Patrick’s Day (and the start of the sale on old items) starts. Homer: Come on, Moe. It’s nine a.m. on Saint Paddy’s Day and I’m still sober! Do you really want that on your conscience? Moe: Sorry Homer, but you guys know I can’t serve booze this early. If I get one more write-up from the city, I’ll have to buy a new binder. Moe: And I ain’t got no fancy binder money lying around. Tom O’Flanagan: Pardon me, but O’Flanagan’s is an Irish Bar. We operate on Greenwich Mean Time. Tom O’Flanagan: I can serve you beer now. Note: When obtained, it will be placed in the inventory. Roscoe: That is one fabulous rainbow! Leprechaun: Oi! The rainbow was ours first, ya flowery Finnegan! 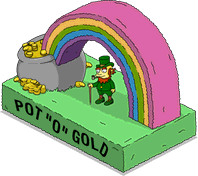 Leprechaun: Rainbows are as straight as four leaf clovers and kissin’ your pals when you’re drunk. Hi! Do you know what are the odds regarding the prizes for sending Lisa to Conquer the eliminator? How difficult would it be to get the mini nuclear warhead? I’ve just been through my friends list & noticed that several of my friends have Chinese sounding names, does anyone know if I will still be able to visit them or they visit me after the Chinese switch off? It probably won’t be a problem until we get our next update, but I do remember seeing a “New content is available” message previously when I’ve attempted to do friend visits when there is an update which I hadn’t installed. Just asking now cos this could be a consequence that nobody’s thought of.